The previous post The Red V & 1984 realized the pattern of V's generally or Red V's specifically entraining with films made in 1984. It was also mentioned that V is the 22nd letter of the alphabet. 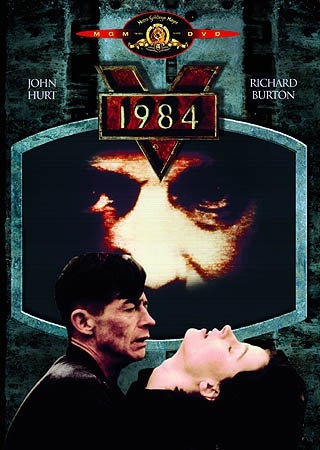 Subsequently on Twitter Richard Arrowsmith aka @blackdogstar pointed out that 1+9+8+4=22 or V, perfect. 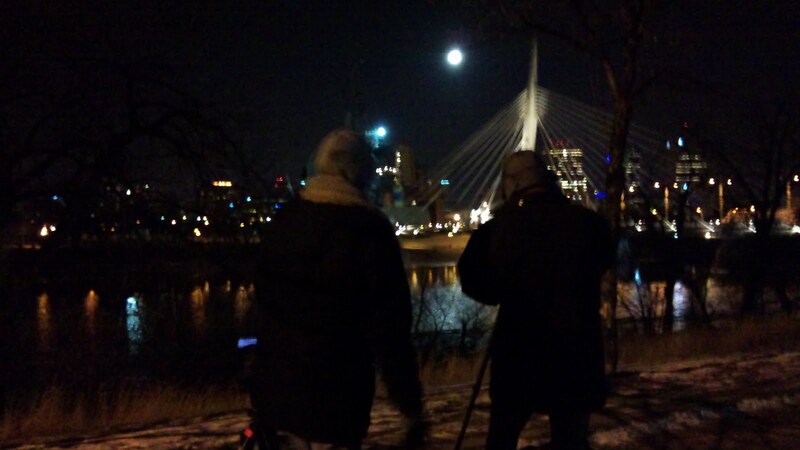 This coming Saturday, December 10, will see "A Super-Sized Lunar Eclipse". The video above shows how from the perspective of folks living on the North American continent the eclipse will happen at dawn, as the moon sets and sun rises and will also be red. The graphic above shows a giant Red V, emanating from the Earth, hitting the Moon. Jim explained in the previously mentioned Red V post how the V is the Heart shape. EARTH is an anagram for HEART. Perfect then that on Saturday morning we will be looking at our own EARTH's red light creating a Red HEART Moon. This year's second total lunar eclipse on Saturday morning will offer a rare chance to see a strange celestial sight traditionally thought impossible. For most places in the United States and Canada, there will be a chance to observe an unusual effect, one that celestial geometry seems to dictate can't happen. The little-used name for this effect is a "selenelion" (or "selenehelion") and occurs when both the sun and the eclipsed moon can be seen at the same time. But wait! How is this possible? When we have a lunar eclipse, the sun, Earth and moon are in a geometrically straight line in space, with the Earth in the middle. 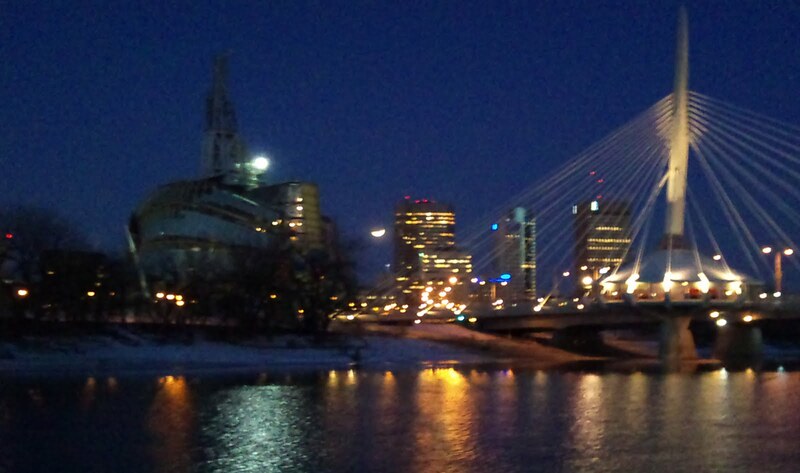 So if the sun is above the horizon, the moon must be below the horizon and completely out of sight (or vice versa). And indeed, during a lunar eclipse, the sun and moon are exactly 180 degrees apart in the sky; so in a perfect alignment like this (a "syzygy") such an observation would seem impossible. But it is atmospheric refraction that makes a selenelion possible. Atmospheric refraction causes astronomical objects to appear higher in the sky than they are in reality. 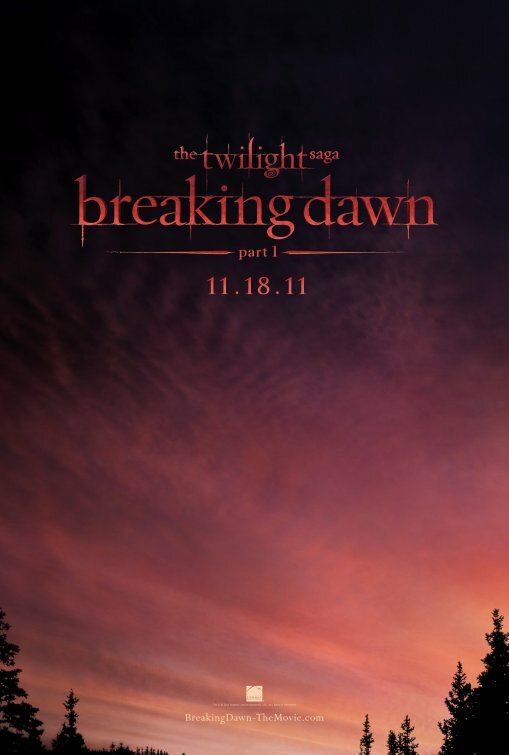 As we become aware of this unusual & "impossible" eclipse the number one film in theaters for 3 weeks running is The Twilight Saga: Breaking Dawn Part 1. The titles of the Twilight saga all relate to celestial phases (previous ones including Eclipse & New Moon) this one referencing the Dawn, the same time the eclipse takes place. This morning, as is my habit, I checked the most popular birthdays at the Internet Movie Data base. Today (8 December) is cinema pioneer Georges Méliès birthday. 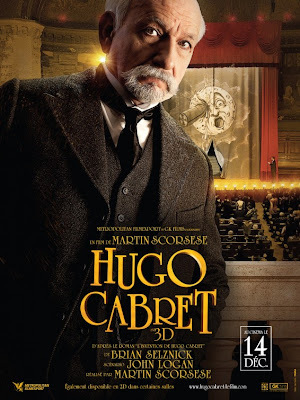 Melies was recently played by Ben Kingsley in Hugo. 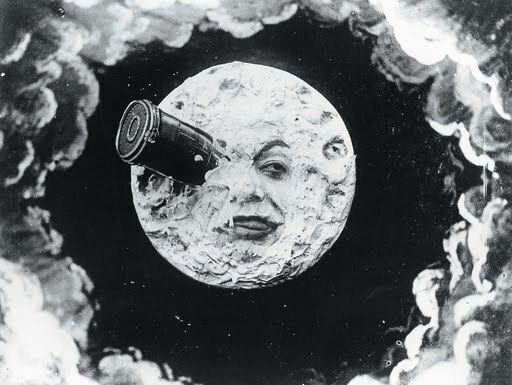 His most iconic film A Trip to the Moon (Le Voyage dans la lune) features the moon's eye being struck by a capsule launched from Earth. 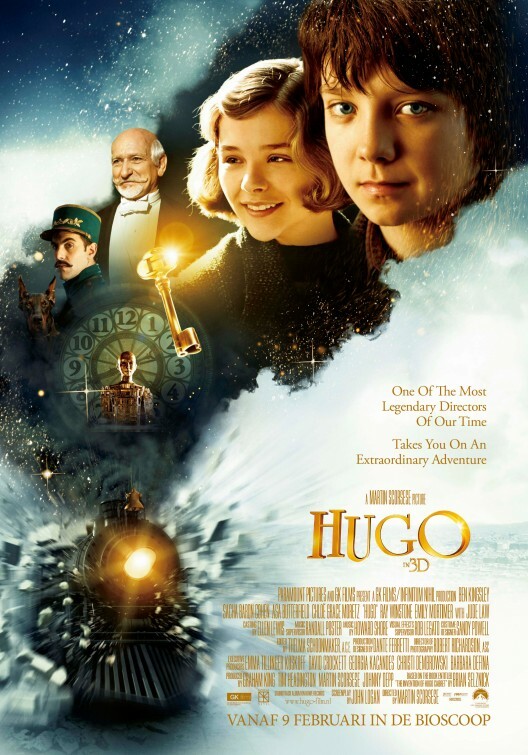 This is seen behind Ben Kingsley on the Hugo character poster above and resonates the V/Arrow shape hitting the moon tomorrow. Kingsley is most famous as Gandhi. Above is a statue of Gandhi outside the Canadian Museum for Human Rights currently under construction. Kingsley's Birthday is on December 31 aka New Years Eve and will mark the transition of 2011 in 2012. 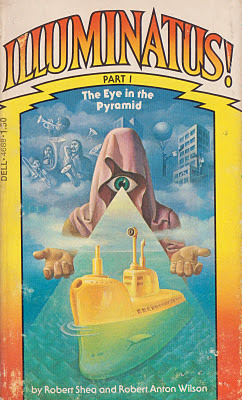 I am currently listening to Robert Shea & Robert Anton Wilson's Illuminatus Trilogy Audiobook. 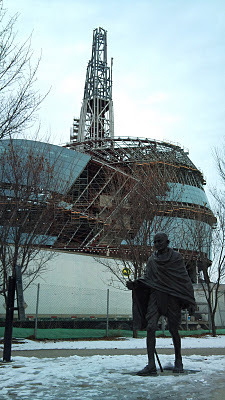 Had recently checked the first ever Sync Whole post dated April 23 A Dream Becomes Reality about the Canadian Museum for Human Rights (CMHR). 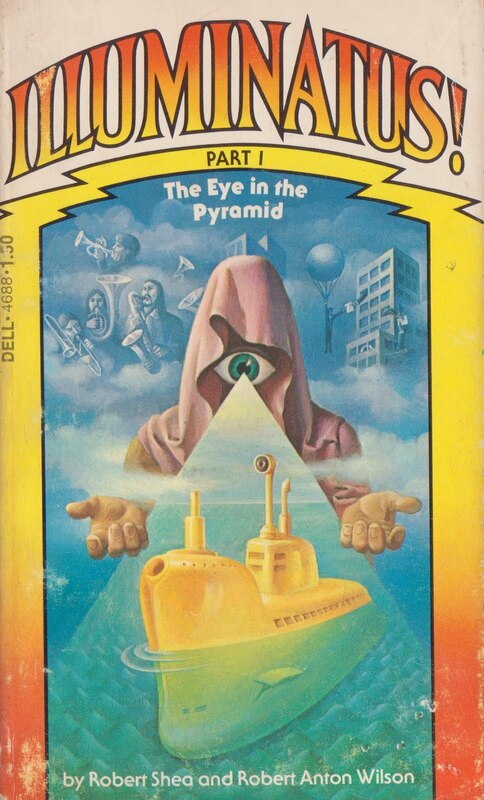 Enjoyed realizing this same date is mentioned on the very first page of the Illuminatus, a book which heavily influenced my interest in synchronicity. 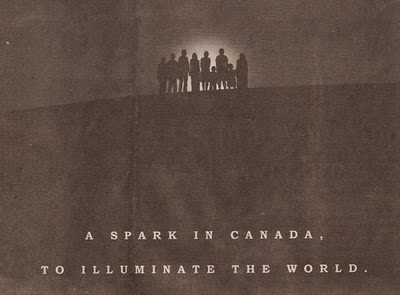 Jim wrote a post about the building called A Spark in Canada to illuminate the World named after this newspaper advertisement about the CMHR from 2006. 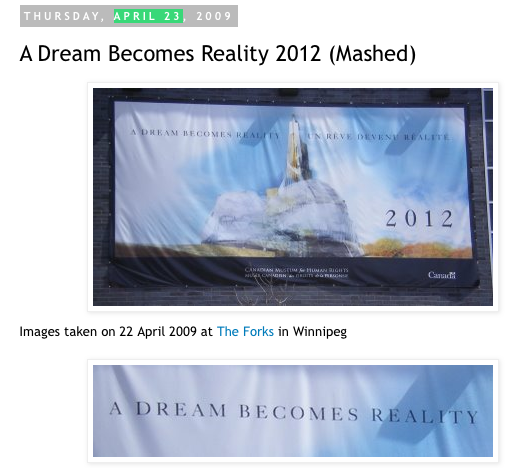 I like that the Museum advertisement talks about Illumination and our blogging of it here on 23 April 2009 resonates the quintessential novel about the Illuminati. The building seems to be in sync with its own rhetoric and actually honestly is "A Spark in Canada to Illuminate the World". Jim also tweeted yesterday that December 10, the day of the Eclipse, is Human Rights Day. Right is also rite as in ritual. The ultimate goal of all ritual is to bring the divine spark of heaven into form on Earth. 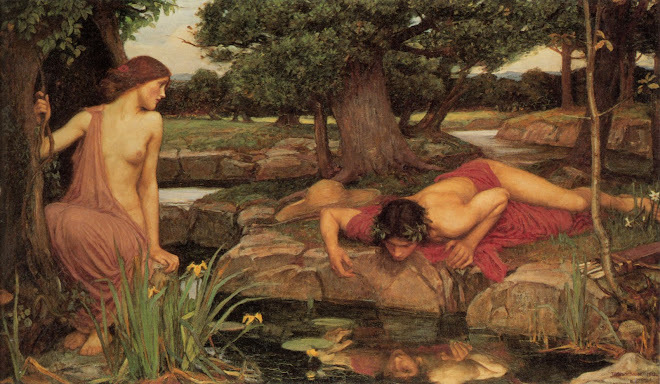 The human rite and its building is going through a key activation moment tomorrow. 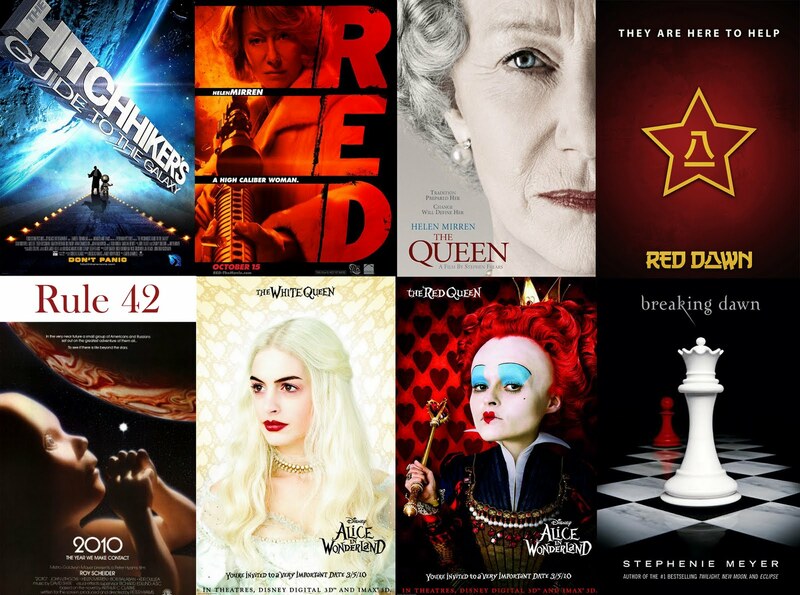 Perfectly so, we have tomorrow, December 10th, as not only our Breaking Bear King Red Dawn but also it is Human Rights Day. Resolution 423(v)!!!!!!!! 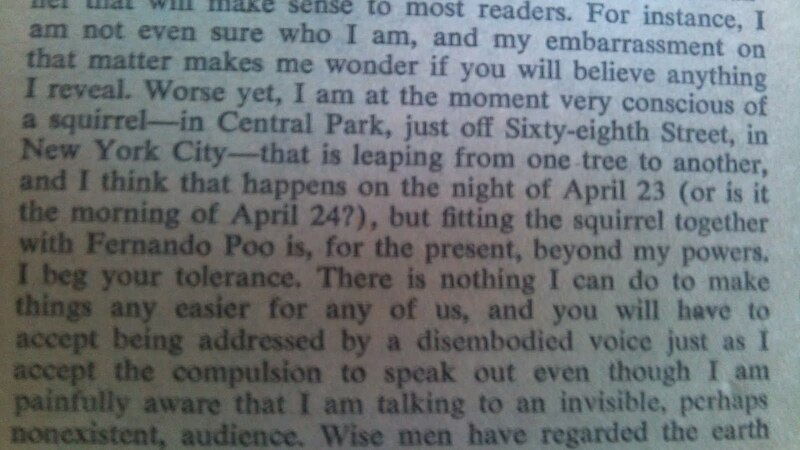 This nicely syncs up with the 4/23 date brought up by @Seallion. The V is icing on the sync cake. Why do I feel that tomorrow is a big day in the Human Rite we are all part of? This is some early Red Dawn sync work. 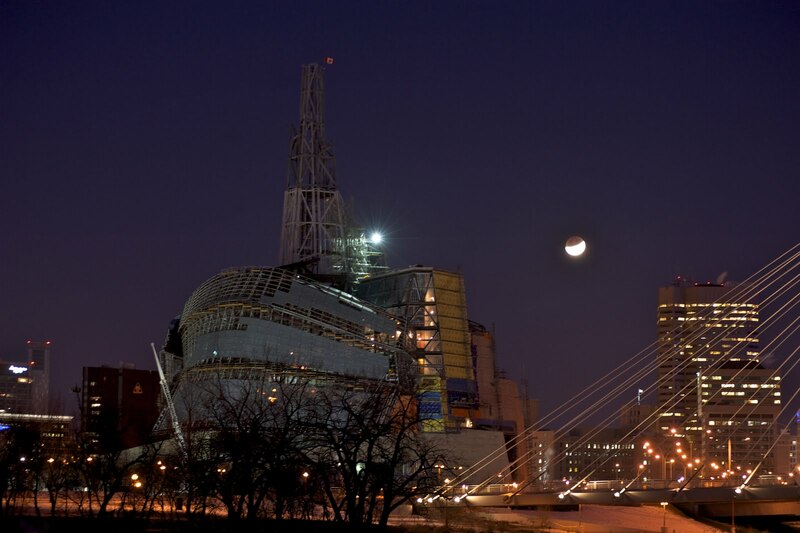 The Huge eclipse just starting on a rapidly descending moon before sunrise. Got picked up early this morning by Jim. 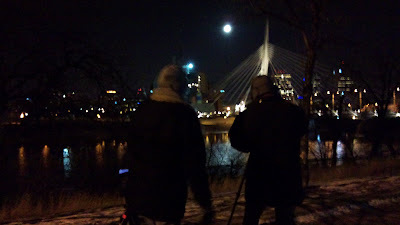 We set off with some friends to document the Eclipse from the Red River looking towards the twin spires of the Canadian Museum for Human Rights (left) and the Provencher Bridge (right). The moon is now lower, just a crescent & in between the buildings of the rapidly brightening skyline. 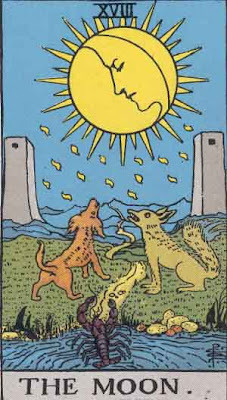 A like how the smiling crescent of the eclipsing moon is between the two pillars & fronted by water, very reminiscent of the 18th Tarot trump aka The Moon. 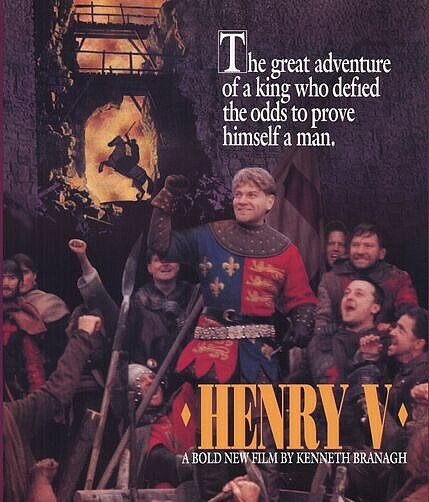 This Eclipse day is Kenneth Branagh's Birthday. 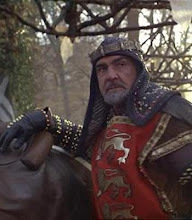 Kenneth is known for his numerous adaptations of William Shakespeare plays. Like Henry V (one of his most renowned roles) entraining with the V or 22 theme. Amazingly April 23 is the generally agreed upon date of both William Shakespeare's birth and death. That is the same date mentioned on page one of Illuminatus, the date The Sync Whole got started and 4/23 (the Resolution number (423 V to be specific) that made 10 December Human Rights Day!). Most recently however Branagh changed gears and directed Thor, the Thunder God. I like the H over Anthony Hopkins. 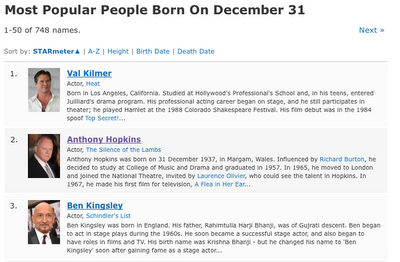 We see on IMDb that Hopkins shares birthday & last day of the year with Ben Kingsley. 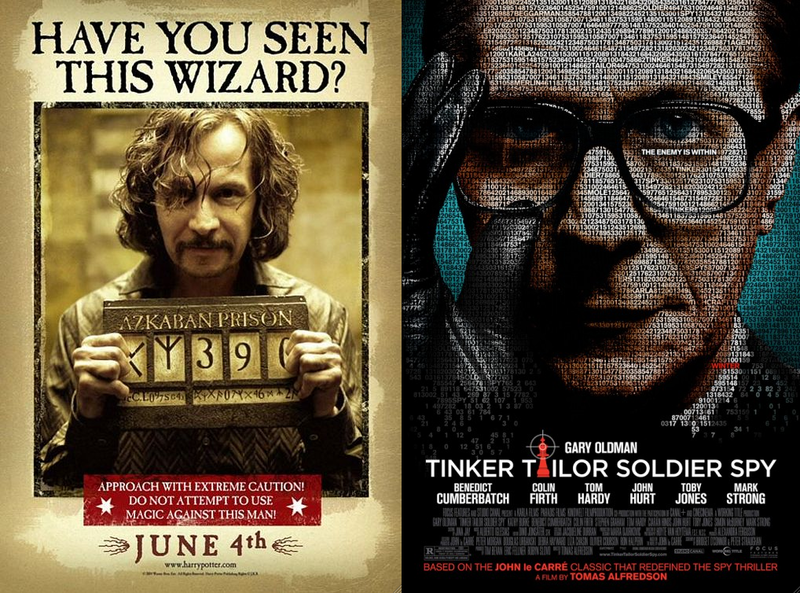 Noticed the shared birthday of Kingsley and Hopkins last year and was excited as I had previously put these two posters above together. 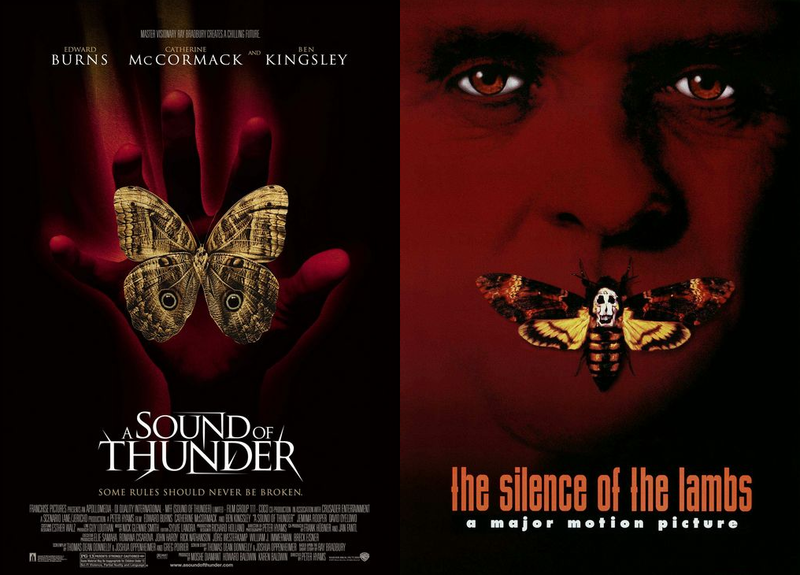 A red Sound of Thunder (Kingsley) poster with a moth covering a hand and a red The Silence of the Lambs (Hopkins) poster with a moth covering a mouth. 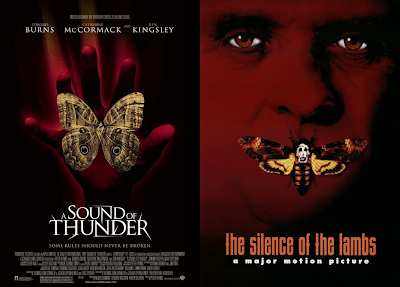 I originally only realized the visual similarities as well as the echo of the famous statement about the Buddha's "thunderous silence", then some time later learning the birthday connect to top it all off nicely. Still, sync just keeps on revealing everything's infinite depth as we can now, one year later, associate thunder with Thor. A Highlighted H Key is seen on this Hugo poster, which we noted previously as staring Kingsley playing Georges Méliès. 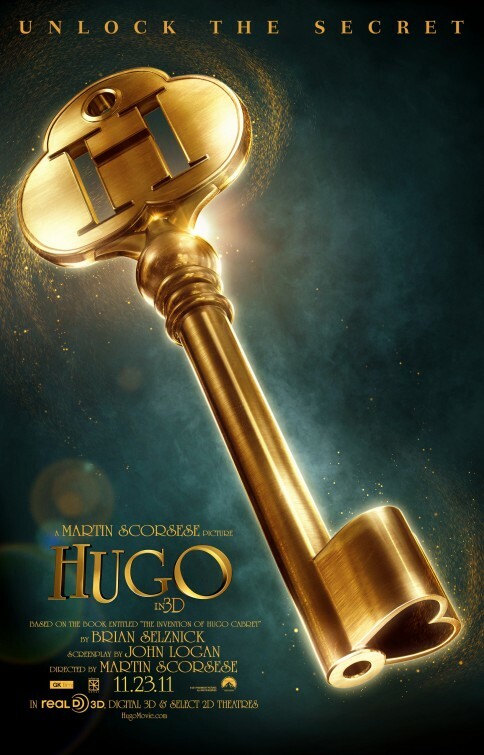 On this version the H key entrains with Kingsley, himself above the 12 or Keystone position of the clock. 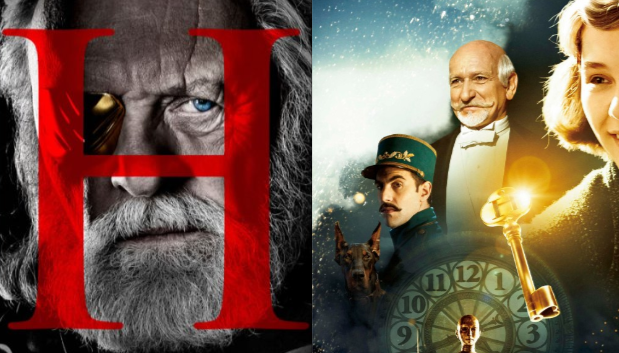 Anthony Hopkins in Thor & Ben Kingsley in Hugo both attracting H's on their posters as well as sharing New Years Eve birthdays. 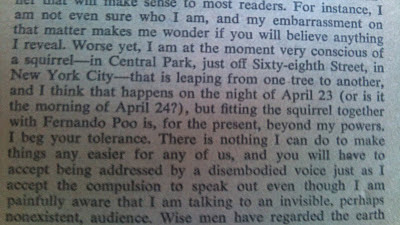 Very fitting as his Birthday is at the summit of the Year which Jim says is connected to the Midnight position of Sirius. 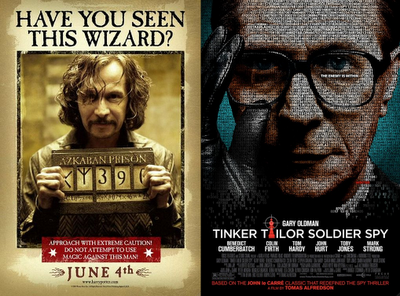 Fascinating that Tinker Tailor Soldier Spy opened this weekend starring Gary Oldman aka Sirius Black from Harry Potter. A selenelion for a seallion...incredible work. Recently the syncs have been in over-drive and I've started to really question why. Literally every few minutes, hours, something syncs with something else...watching a tv movie called Killer bees, going to the cinema and seeing a trailer featuring a cinema in the background showing 'Killer bees'...reading an article about Bruce Springsteen and hearing his name being mentioned on the radio at the same time...shoppping and hearing Bruce on the speakers, watching a news report about an elephant hologram in France and then seeing an ad about Elephants... talking about Tower Heist and how bad Eddie Murphy is, and reading this blog...a friend mentioned Manitoba in a lunch conversation today...just opened an e-mail invite with pictures of Gary Oldman from the latest Batman, spliced with clips of Thor, and going through pics of the eclipse and....what does it all mean...? 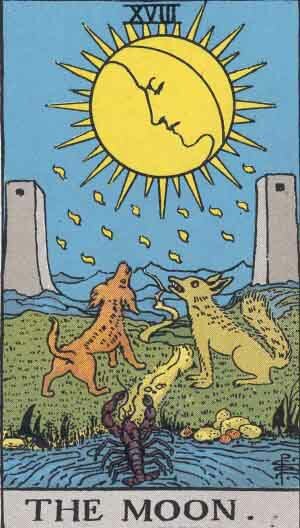 i'm lovin the resonance between your photo of the eclipse and the tarotcard; though you neglected to point out the fact you would bee the hounds. ahwooo! As Jake always says, all is sync. 423 is also 234 logical progression and 3/24, or when ascension took the next "Up Jump" as I flew to MIAMI ("I AM" Mi/Me). Everything is perfectly connected. It's up to us to crack the codes. 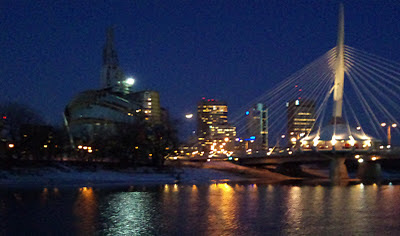 12.9-12.13 showed us the power of the energy of this most magnificent year. 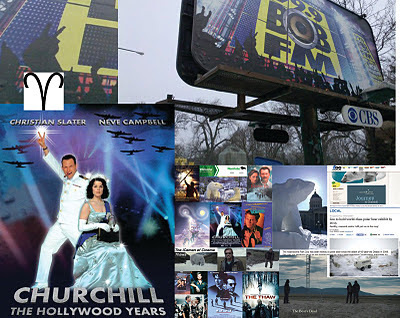 Now we get geared up for the next key dates/gates of 12.21-31. Coming off of Super Bowl 45 this year and Ed(45) Wood's death on 12.10.78(GATE =G8) at 54, things just keep getting better and better in the NOW. 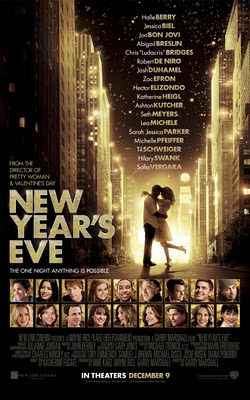 It's going to be quite awesome heading into 12.31 (New Year's Eve = NYE = 44, as if that number needed any more syncs about it!) May all be blessed, chill, peaceful, and joyful. J.I.M. = Joy In [the] Moment. WEAK STONER SYNCHS AS USUAL . . . BRAIN ROT . 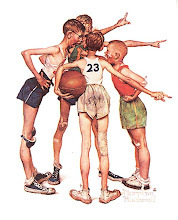 . . FOR THE KIDS . . .